took until 2009 to land a Top 40 hit. Michael Franti was naked in the shower (as one normally is while bathing) when his big hit “Say Hey” came to his mind. Franti may not be technologically savvy but his musical ability is not to be questioned. With his self-described unique mix of reggae, funk and rock, the musician who started as a street performer, has always enjoyed being with the people and playing for the people. Franti is famous for going into the audience at concerts. 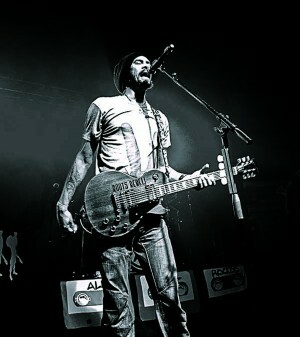 Most recently, Franti and his band came to Omaha while on tour with tabloid king John Mayer. Along with helping soul-searching rock stars, Franti enjoys helping all sorts of people. While all of this is happening, Franti goes barefoot. Not only is he barefoot on the beach, but everywhere else he goes, too. Now Franti has started a foundation that provides shoes for the needy called Soles for Souls. The practice of yoga every day is also very important to him. Franti practices daily while on tour.